Who, What, Why, When, Where and How. 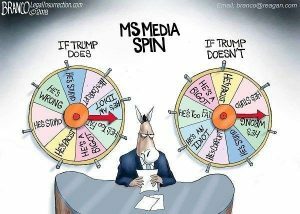 Given the state of journalism I have witnessed, the Lame Stream Media is using crayons and toilet paper with a suspicious brown stain when they get to the WHY. The New York Times has always claimed the highest journalistic standards when creating a “story” that the rest of the media use as a focal point for that day’s news interest. 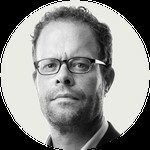 Thomas Fuller is the San Francisco bureau chief for The New York Times. He has spent the past two decades in postings abroad for The Times and The International Herald Tribune in Europe and recently in Southeast Asia. 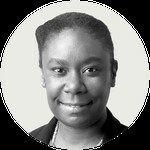 Kendra Pierre-Louis is a reporter on the New York Times climate team. Before joining The Times in December 2017, she was a staff reporter with Popular Science, where she covered science and the environment. 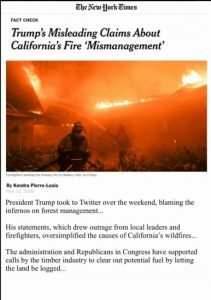 Just three days previous to her article dismissing Trump’s tweet, she blamed climate change as the primary reason for the fires and suggested it would get worse. I don’t know where Ms. Pierre-Louis and the “climate team” are located, but surely Thomas Fuller is in her corporate telephone book. Maybe she’s too busy keeping up with the latest group think to bother reading her own newspaper. In her defense, Mr. Fuller is, after all, one of those dreaded white guys and she has the race card she can always play to draw attention away from her box of crayons and toilet paper. I have personal experience with fires as devastating as the one Ms. Pierre-Louis viewed from afar. I lived a mile from the edge of the Apache Reservation in the White Mountains of Arizona. The Apache tribal leaders were not hampered by federal “guidelines” and cleared their lands while watching the crazy white man battle fires in the rest of the forest…”protected” by regulations drafted by some bureaucrat surrounded by miles of cement and asphalt. I was told to prepare to evacuate as the fire came close enough to endanger my home. My evacuation plan was to grab the cats and my insurance file and book a room at the Apache casino just two miles down the road. The mechanics of journalism is also in transition. Roughly 29,000 employees worked as reporters, editors, photographers or film and video editors in broadcast TV newsrooms in 2017 with a projected annual loss of 9% in the coming years, according to data from the Bureau of Labor Statistics’ Occupational Employment Statistics. In 2015, there were 32,900 newspaper journalists employed full-time, which marks a loss of 3,800 employees from 2014. …near to their interest…key words in the study. The U.S. Census Bureau estimates that there are 247,813,910 adults living in the United States. The total population was estimated at 321,418,820 people, with 77.1 percent of those people being over 18. 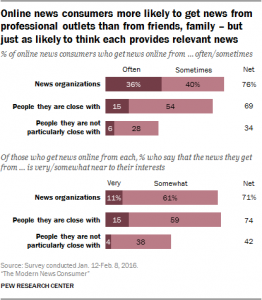 Compare those numbers with the roughly 60,000 members of the Lame Stream Media, the majority of whom have adopted the crayon and toilet paper method of reporting the news. 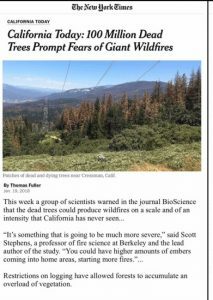 The only reason I did read the Fuller and Pierre-Louis “stories” was because of my experience with forest fires. However, most of the time I can spot the crayon addicts by using a news aggregate like Whatfinger.com news. It’s all there and easy to find the stories near to my interest. Whatfinger News does a great job presenting all points of view allowing you to come to your own conclusion. In the meantime, I am tempted to send a crayon with a few sheets of toilet paper to the more egregious biased journalist examples. It would confuse them but make me feel a lot better.